If you want to visit one of the most spectacular places imaginable then visit Svalbard - one of Europe`s last great wildernesses and the domain of polar bears. Svalbard is a part of Norway and is situated to in the Barents Sea. Around 60 percent of the island is covered by ice, and during the winter it can be cold here, and the temperature can drop below -30 degrees C. In summer it is usually around 8-10 degrees C.
Located halfway between Norway and the North Pole, this remote archipelago in the Arctic is a dream for nature lovers. 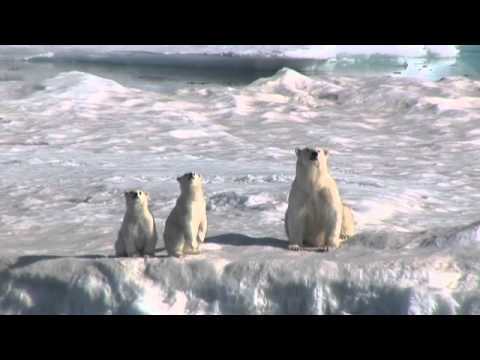 Here you find huge icebergs and glaciers and a surprising variety of flora and fauna, and animals as polar bears, Arctic foxes, seals and walrus. Longyearbyen is so far north that the sun is not visible from late October until March, and in the middle of the winter (November - February), it is dark 24 hours a day. In summer you have 24 hours of daylight because the sun is not going down under the horizon - also called the "Midnight Sun". In the city has around 2500 inhabitants all year around, and it is the centre for shopping. You can buy local souvenirs, eating a good meal in a restaurant or stay at one of the recommended hotels. From the port of Longyearbyen, you will find many recommended tours like whale safaris. There are no roads between Longyearbyen and the other settlements. In summer it`s nice to explore the Arctic wilderness by hiking under the midnight sun or travel by boat to Pyramiden, a pyramid-shaped mountain, 110km from Longyearbyen. A former hotel reopened here in 2014 and is seasonally open from March to October and is next to the ice front of Nordenskiöld glacier. Dog sledging is another polar experience. 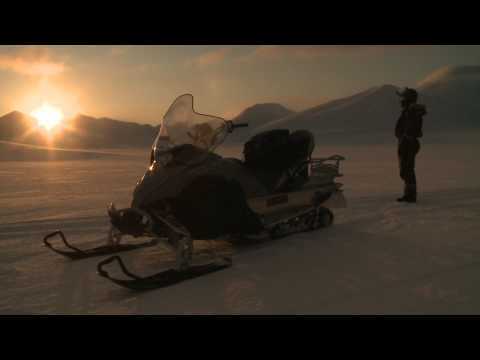 Feel the exhilaration of racing through the icy wasters on a winter snowmobiling expedition. If you are interested in history you can visit Svalbard museum. Here it`s possible to see exhibitions about whale, trappers, seal and walrus hunters and miners. Or visit the Spitsbergen Airship Museum which houses a collection of artefacts, original newspapers and other documents relating to the history of polar exhibitions. The warming Gulf Stream holds the coastal waters ice-free the most of the year. The wildlife and fauna are spectacular and including hundreds of species of migratory birds, arctic foxes, polar bears on land, and seals, walruses and whale offshore. As locals say`s with a smile at Svalbard,” the island polar bears more normal to meet than people”. The beautiful Northern Lights in winter or the Midnight sun in summer captivates everyone together with the raw wilderness nature. Throughout the year there are many exciting activities, from snowmobile safaris to dog-shooting trips in the winter polar expedition cruises, or what about whale watching safaris or hiking trips in the summer, Svalbard is adventure heaven. In the winter in the dark season, it is dark 24/7 without any daylight in Longyearbyen, and this attracts people from all over the world to experience the unique northern lights in Svalbard. You perhaps want to participate in some of the organised tours and treks, and many need to be booked in advance because you have to go outside Longyearbyen to see the real Svalbard. Svalbard has a special status in international law. It means that everyone can travel to Svalbard and you don`t need a visa permit from Norwegian authorities. However, you need a valid Schengen visa if you travel through Schengen countries on your way to or from Svalbard. As all regular flights to the archipelago run between Longyearbyen and cities on the Norwegian mainland, all foreign nationals with visa requirements to the Schengen area do in practice need such a visa when travelling to and from Svalbard. How to go to Svalbard? You find most flights to Svalbard in the summer season, where you can find several flights per day. Flight companies having flights to Svalbard are Norwegian and SAS in the Nordic countries. It takes around 3 hours from Oslo to Svalbard, and 1,5 - 2 hours from Tromsø. They fly between Oslo and Longyearbyen in the summer season, but SAS also operates via Tromsø. Book early to avoid to pay the most expensive tickets. It is not possible to drive more than 46 kilometres road on the islands, but you cannot drive between the different attractions and settlement because there are no roads, and driving off-road is strictly prohibited. The best thing to do is to use a boat during summer.